Our Literacy program — Rhode Island Family Literacy Initiative – RIFLI — was recently recognized for its collaboration with Lippitt House Museum to develop an experiential learning program “The Immigration & Change in Rhode Island’s Golden Age.” The program benefits the literacy learning goals of adult English Language Learners (ELL) while furthering the Museum’s mission to contribute to the community as a source of public education and civic engagement. Over a two-year span, RIFLI teachers and students piloted the materials and provided feedback. 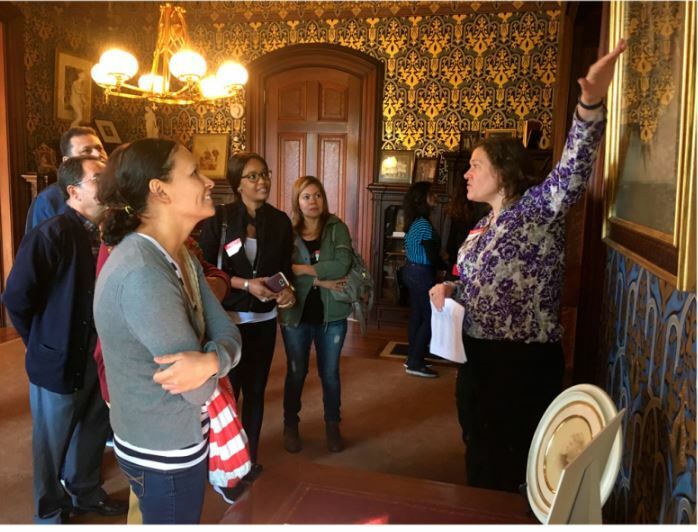 The resulting curriculum, which features in-class activities, a visit to the Museum, and follow-up activities, centers on civic engagement past and present, and can now be used by the Museum with other adult education agencies in the state!